The wait is over. 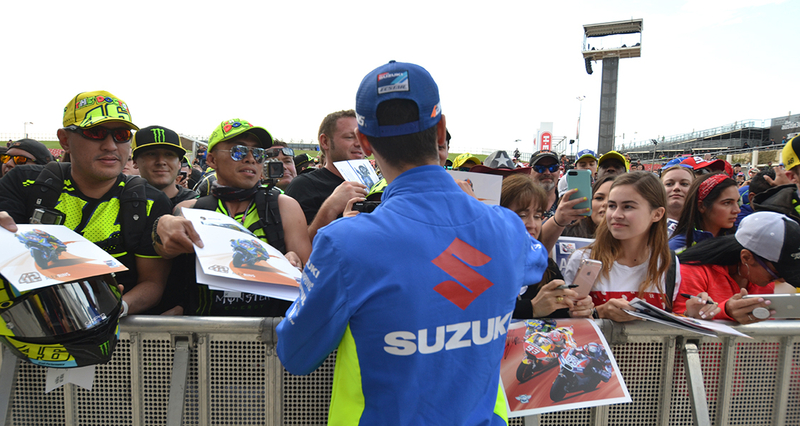 Dorna and Circuit of The Americas present the driver autograph schedule for the 2019 MotoGP Red Bull Grand Prix of The Americas! All autograph sessions will take place at Austin360 Amphitheater, located beneath the Tower, on Friday, April 12. A wristband is not required and there are no queue lines. Drivers will enter the Austin360 Amphitheater pit behind a barrier and fans are welcome to line the barrier to receive an autograph. Drivers will sign as many autographs as they can during the allotted time for their team. Kids 12 and under are invited to the Pizza Hut Kids Zone, and exclusive area in the pit at Austin360 Amphitheater for future champions to get up and close with their favorite drivers! Please note: rider appearances are subject to change without notice. Bookmark this page or check the COTA App for the most-up-to-date schedule.